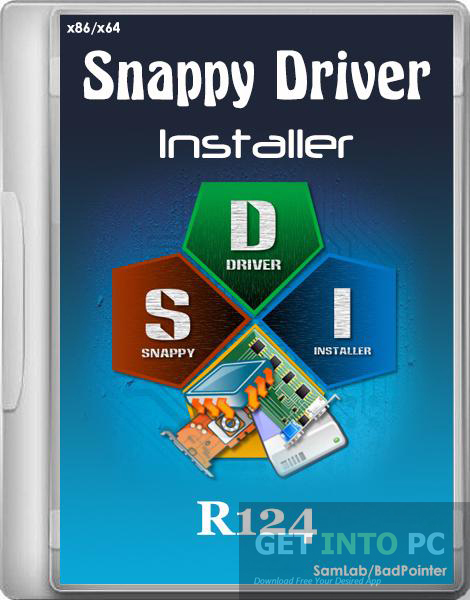 Snappy Driver Installer Free Download Latest Version for Windows. It is full offline installer standalone setup of Snappy Driver Installer for 32/64 bit PC. Drivers are necessary for your system and the hardware devices attached to it. In order to ensure smooth and efficient working of hardware devices you need to have a proper driver. If you are not empowered with the suitable driver then I am afraid your related hardware device will not work properly. So it is important to have a proper driver for every device attached to the system. 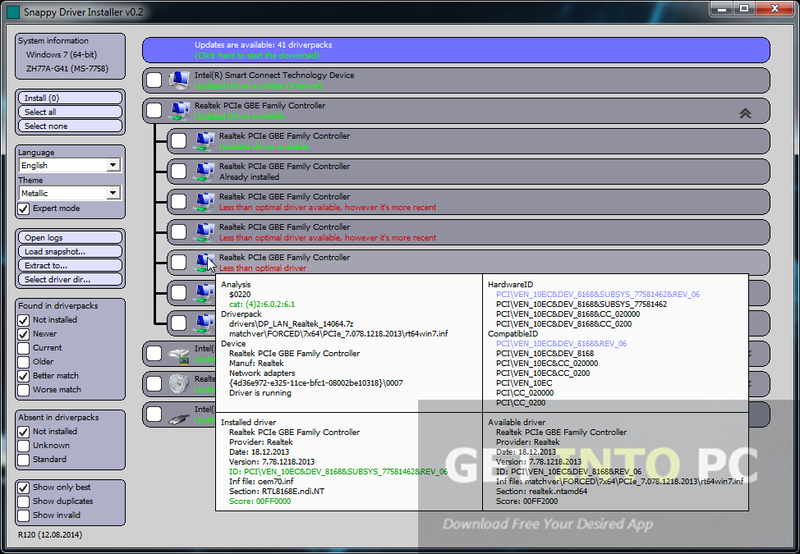 Snappy Driver Installer is an application that can be used for either installing or updating drivers onto your system. This application can be used on a newly established system and can also be used on an existing system for updating drivers. This is better than DriverPack Solution 14. Snappy Driver Installer has a very simple interface and you can update or install any driver of your need very easily. The application comes in a very small size which is less than 1MB. It has been written in C++ language. Driver installation is quite fast and will save much of your precious time. It will automatically update all of your driver packs when internet is connected. It also gives you the choice to install your drivers either from driver packs or from folders. It’s also better than SamDrivers which is another most used tool. 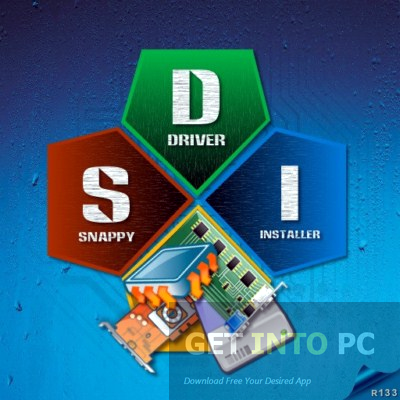 Snappy Driver Installer comes in many themes and you can select any one of them according to your preferences. The interface of this application is multilingual which means it can supports multiple languages so that users can use it with more authority. Snappy Driver Installer is quite secure as well and whenever something fishy is detected the application will warn you so there are almost no chances for viruses to attack your system. On a conclusive note we can say that Snappy Driver Installer is a very useful and productive application which will allow you to either install or update almost any of the drivers. Below are some noticeable features which you’ll experience after Snappy Driver Installer free download. Can install and update different drivers. Small sized application of just 1MB. Can automatically update the installed drivers. Before you start Snappy Driver Installer free download, make sure your PC meets minimum system requirements. Memory (RAM): 25 6MB of RAM required. Click on below button to start Snappy Driver Installer Free Download. This is complete offline installer and standalone setup for Snappy Driver Installer. This would be compatible with both 32 bit and 64 bit windows.